CHARLESTON — Eldon L. Fortner, 89, of Charleston, passed away Saturday, March 16, 2019 at Charleston Rehabilitation and Health Care Center. 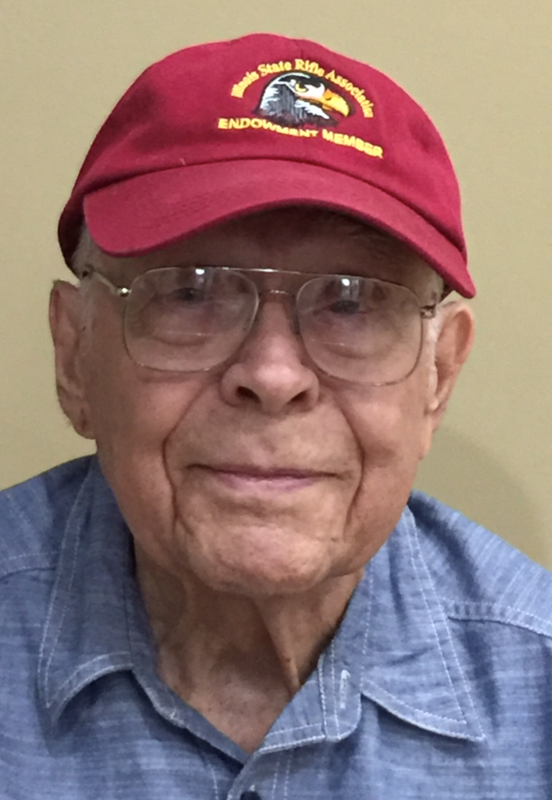 Visitation will be Thursday, March 21, 2019 at the Harper-Swickard Funeral Home, from 9:00 a.m. to 10:00 a.m. with his graveside funeral with military rites by the combined honor guards of Paul McVey V.F.W. Post #1592 and Charleston American Legion Post #93 immediately following at Roselawn Cemetery, Charleston. Memorials may be directed to the Coles County Animal Shelter. Eldon was born May 17, 1929 in Charleston, son of Lucien W. and Mary Katherine (Stopher) Fortner. He was preceded in death by his parents. Eldon was a U.S. Army veteran. He retired from Bell and Howell in Streamwood, Illinois, where he had worked in quality control. Eldon was a member of the Riflemen’s Club and a lifetime member of the NRA, and had won medals as a Master Indoor Sharpshooter with a pistol. He had a gift for telling stories, and enjoyed gardening, flowers and being out in nature. Eldon was always on the go. You never knew where he might end up. He enjoyed going to the Covered Bridge Festival, County Fairs, and even the State Fair, and he always had to have a corn dog. Eldon was a gifted photographer, able to make a simple picture look like a work of art. He was a gifted pianist, and could play any music you put in front of him, like a professional, without practicing. 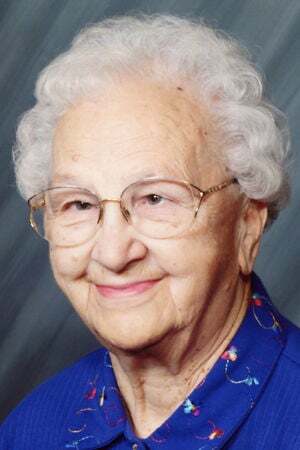 MATTOON — Clara L. Hutchison, age 93 of Mattoon and formerly of Charleston, passed away on Friday, March 15, 2019 at Sarah Bush Lincoln Health Center. Visitation will be from 11:00 a.m. until 1:00 p.m., Thursday, March 21, 2019 at Adams Funeral Chapel in Charleston. The Funeral Service will begin at 1:00 p.m., Thursday, with Pastors Virgil Cisney and Tom Skinner officiating; and, Auxiliary Services conducted by the Charleston VFW Auxiliary. Interment will follow in Roselawn Cemetery, Charleston. Donations in her honor may be made to the Charleston VFW Auxiliary or the Mattoon Lions Club and left at the visitation/service or mailed in care of Adams Funeral Chapel, 2330 Shawnee Dr., Charleston, IL 61920. Clara was born November 29, 1925 in Indianola, Illinois, one of 13 children born to the late Harrison Franklin and Nellie Jeanette (Smith) Prunkard. She became the wife of Jean R. Hutchison on August 23, 1942 in Newark, New Jersey and they celebrated nearly 59 years of marriage prior to his death on August 2, 2001. Surviving are a son, Michael Hutchison (Pat) of Tuscola; four grandchildren, Mark Hutchison (Stacie) of Champaign, Kama Senn (Cliff) of Charleston, Andrew Hutchison (Andrea) of Lerna, Joseph Hutchison (Amanda) of Mattoon; 21 great-grandchildren; 2 great-great-grandchildren; and many beloved nieces and nephews. Clara was also preceded by a son, Stanley Robert Hutchison, a great-grandchild; seven sisters and five brothers. Clara was employed as a cook at EIU for 25 years. In the words of her family - “Clara was a treasured matriarch of our family. Once you were in her heart – blood or not – you were family forever”. Clara’s complete obituary is available at www.adamsfuneralchapel.com. CHARLESTON — Cathy Louise Felton, 51, of Champaign passed away on March 11, 2019 at Barnes Jewish Hospital in St. Louis. Cathy was born on July 14, 1967 in Vincennes, Indiana to John and Deanna Felton. They both preceded her death. Cathy married Steve Estes in June of 1995 and together they had two daughters. She received her Associates Degree in computer programming from Lakeland College in the fall of 1996. She worked as an Outpatient Care Coordinator at Carle Foundation Hospital. Cathy was a self-less, loving, caring mother and friend. She would brighten any room she entered with her outgoing personality and her infectious smile. She will be remembered for her courageous act of heroism in donating her organs and saving many lives. She will be missed dearly. She is survived by her daughters, Jennica and Jillian Estes, both of Champaign, and her sisters, Jeanette Combs-Stagner and Patty Johnson, both of Charleston. SHELBYVILLE — Sophie Woolen, 82, of Shelbyville passed away Thursday, March 14, 2019, at Decatur Memorial Hospital. Funeral services will be held 11:00 a.m. Wednesday, March 20, 2019, at McMullin-Young Funeral Home, Sullivan. Visitation will be held from 9:30 a.m. – 11:00 a.m. Wednesday at the funeral home. Burial will be in Greenhill Cemetery, Sullivan. Memorials may be made in memory of Sophie to the Lake Land College Foundation: 5001 Lake Land Boulevard, Mattoon, IL 61938. Sophie was born February 6, 1937, in Toronto, Ontario, Canada; the daughter of Wasyl and Anastasia (Haveskewicz) Yaworski. She married H.C. “Chuck” Woolen, Jr. on February 15, 1985, in Mattoon; he survives. She was a lifelong L.A. Dodgers fan. Sophie was proud of her long career at Lake Land College, where she began one year before the Campus was built. Sophie is survived by her husband, H.C. “Chuck” Woolen, Jr. of Shelbyville; daughters, Pam (Curt) Rincker of Shelbyville, and Linda (John) Yurkovich of Mt. Olive; step-children, Hobie Woolen of Decatur, Kim Henderson of Evington, VA, and Everett Woolen of Fort Valley, GA. She is also survived by four grandchildren, one great-grandchild and five step-grandchildren. She was preceded in death by her parents, two brothers, two sisters and one step-grandchild. BLYTHE, Caroll Lou, 76, Effingham, formerly of Stewardson, died Saturday (March 16, 2019). Brummerstedt Funeral Home, Stewardson. CRAIG, Betty Anne, 86, Mattoon, died Sunday (March 17, 2019). Mitchell-Jerdan Funeral Home. SCHROCK, Wilmer, 75, Arthur, died Friday (March 15, 2019). Edwards Funeral Home, Arcola. STILABOWER, Ronald G., 78, New Douglas, formerly of Windsor, died Friday (March 15, 2019). Lovins-Lockart Funeral Home, Windsor. DEGIRONNE, Charles Michael, 63, Mattoon, 1 p.m. in Schilling Funeral Home. McKINNEY, Kathryn "Katie" Ann, 87, Toledo, 10 a.m. in The United Methodist Church, Toledo. O'BRIEN, Rose Marie, 80, Charleston, 6 p.m. in Adams Funeral Chapel. RENTSCHLER, Michael William, 74, Cooks Mills, 10 a.m. in Immaculate Conception Catholic Church, Mattoon.